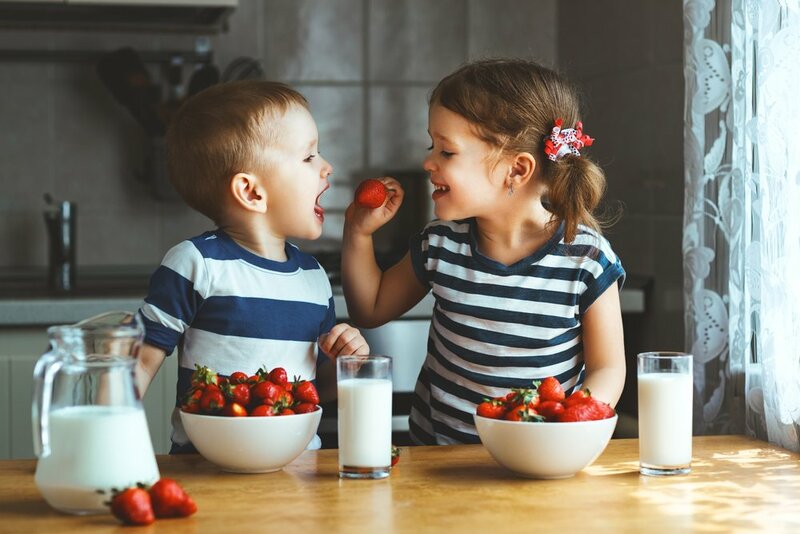 Because young kid’s senses, personality, and cognition are still developing, it’s normal for them to have somewhat rigid food-preferences regarding texture and flavor, especially when a new food is just being introduced. Therefore, it is necessary to take their developmental stage into account when exposing them to new foods, so that the experience can be positive and build their emotional, verbal, and physical skills as well. Read together a book that features a new food and talk about its characteristics before getting to experience it in real life. Make sure that your child has a good posture while eating, so that she is not uncomfortable or too occupied trying to stay upright. Let your child help in the preparation of the food. Cooking together provides interesting and positive experiences around food, and it has been proven that it boosts the child’s self-confidence, while also encouraging her to try the creation. Take into account the food temperature and try to make sure its pleasantly warm. Monkey see, monkey do. Model how trying this new food is safe and fun to do. Consider the food’s texture, as some kids will turn down stringy of lumpy foods, or those that need lots of chewing. Make the food presentation interesting. This can be easily done by serving different colors or shapes of foods, like brightly colored veggies, fruit wedges, square chunks, triangle-shaped sandwiches, etc. Introduce one new food at a time, accompanied with healthy and familiar foods to avoid overwhelming your kid. Baby steps go a long way in the long run.